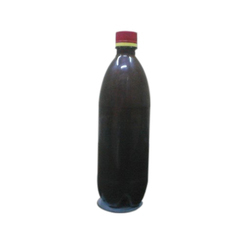 Black disinfectant fluid name black phenyle manufactured under strict quality control. The black phenyle keeps away flies and mosquitoes. The black phenyle manufactured by us kills bacteria and viruses and helps in keeping you safe. We offer the black phenyle range at affordable prices. Packing : 500 ml, 4. 5 lit. Black Phenyl: Our black phenyl is a disinfectant fluid used to eliminate growth of micro organisms in homes, hospitals, public utilities, bathrooms and hospitals.it is used all over world. For re-packer traders, bulk suppliers exporters in supply in 5LITER, 25LITER, 50LITER, 220 kg HDPE barrels also. It is tar based black phenyl, which removes bad odour and highly concentrated. We have all these packing available in 450 ml, 1 ltr, 5 ltr to 200 ltr. We are offering a comprehensive range of Black Phenyl, which are highly demanded in the market for their best performance and high durability. These are made by using high grade quality materials. Moreover, all these products are being offered to all our valued clients at affordable price. We have superior quality of black phenyl. We basically cater eastern region. Homogeneous dark brown solution of coal tar acid and phenolic compounds with a suitable emulsifier manufactured as per BIS – IS:1067 available in both Normal and Winter types and all grades (I, II and III).